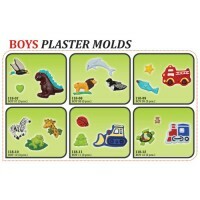 Molds Theme - Boys This 18-character theme set is specifically designed for boys with molds for such things as dinosaurs and trains! These are easy to make and easy to clean up craft projects for schools, at home, Sunday schools, child care centers, birtday parties, etc! 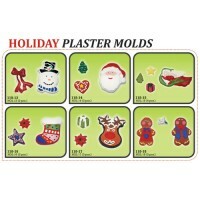 Sandtastik® Plaster Molds can be re-used over and over again. Made from durable PET safe, non-toxic plasti.. 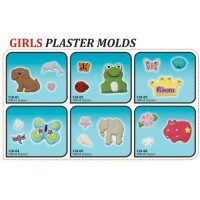 Molds Theme - Girls This 18-character theme set is specifically designed for girls with molds for such things as butterflies and princess tiara! These are easy to make and easy to clean up craft projects for schools, at home, Sunday schools, child care centers, birtday parties, etc! Sandtastik® Plaster Molds can be re-used over and over again. Made from durable PET safe, non-.. 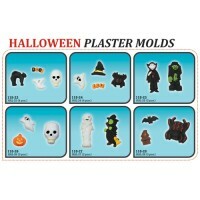 Molds Theme - Halloween This 18-character theme set is specifically designed for Halloween with molds for such things as bats and mummies! These are easy to make and easy to clean up craft projects for schools, at home, Sunday schools, child care centers, birtday parties, etc! Sandtastik® Plaster Molds can be re-used over and over again. Made from durable PET safe, non-toxic .. Molds Theme - Holiday (Christmas) This 18-character theme set is specifically designed for the holidays with molds for such things as a snowman, Santa and a Christmas tree! These are easy to make and easy to clean up craft projects for schools, at home, Sunday schools, child care centers, birtday parties, etc! Sandtastik® Plaster Molds can be re-used over and over again. Made.. 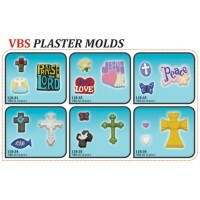 Molds Theme - Vacation Bible School (VBS) This 18-character theme set is specifically designed for bible schools with molds for such things as crosses, angels and doves! These are easy to make and easy to clean up craft projects for schools, at home, Sunday schools, child care centers, birtday parties, etc! Sandtastik® Plaster Molds can be re-used over and over again. Made fr..